The "non-tool" activities on the cards provide strong sensory input without the use of any tools or equipment. There are many situations when tools and equipment are not available or restricted for safety reasons. These are "portable"activities that can be done anywhere. They provide lots of proprioceptive, vestibular and deep pressure touch input. Some are calming, like the foot-flexes and the self-hug, and some are more alerting, such as the slap and clap activities. Game Description: You can make a game from these activity cards by printing out the activities on heavy card tag and cutting them up into separate cards. Pass one or two cards out to participants who take turns leading the group doing the activity on the card. More of these Non-Tool Activities are featured in the Sensory Connection Program: Curriculum for Self-Regulation. The CD included with the curriculum contains full color versions of the cards along with 10 other games. Click here to learn more about the SCP Curriculum for Self-Regulation. Activity Description: This activity is designed to help children and adults identify helpful strategies for different emotional situations. Two situations are chosen. 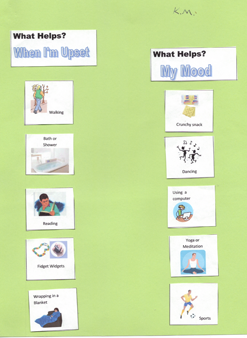 Small pictures from the attached sheets are cut out to represent various helpful strategies. They are glued under the chosen situations. When completed this poster should be made available to staff, family members or care providers so that they can help the person choose helpful coping strategies when they are in an emotional crisis. Game Description: As the Ball of Responsibility is tossed back and forth from the group leader to a participant, ideas on ways that staff can support the person in emotional crisis are explored and then the participant identifies strategies that they are willing to try in the event of crisis. Game Description: This game uses an activity handout to identify personal strengths. This game can be used in the	Learning Stage of the Sense-ability Group or in other skill building groups. It can be easily adapted for all ages and abilities. Directions and game cards are included. Just print them out on card stock and laminate. 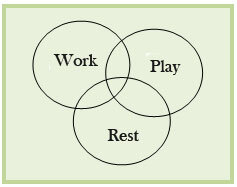 Click here for Free Game for Self-Care. Game Description: Participants answer questions regarding ten aspects or categories of self-care (Self-Regulation, Hygiene and Appearance, Sleep and Relaxation, Healthy Leisure, Good Eating Habits, Sobriety, Exercise, Inner Peace and Spirituality, Self-Improvement, and Health Management). 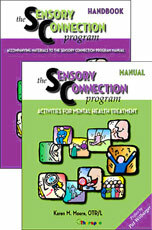 Activity Description: Participant tries 19 sensory related activities over a period of time. As activities are explored, a score for the helpfulness of the activity is placed in the corresponding box. 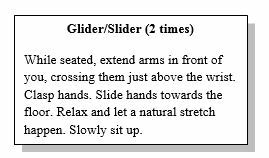 Use this activity sheet to motivate clients (or staff members) to explore various sensory activities and track responses. 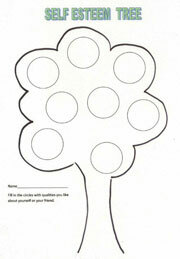 When all activities have been tried, reward participant with their own sensory tool such as a Koosh or fidget widget. You can substitute alternative activities and pictures to match those available on your unit. Find a representative picture on Google Images and tape it on top of an activity you are not using and make a copy of the new sheet.